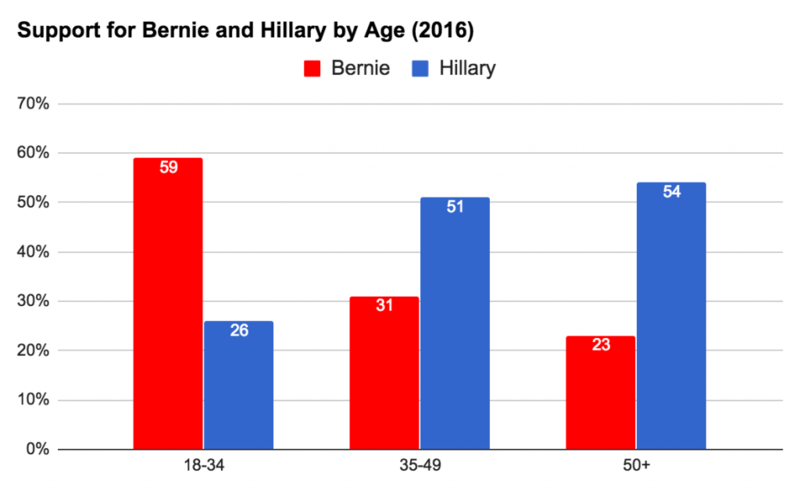 One major reason to be excited about the near-successes of socialists like Bernie Sanders and Jeremy Corbyn is the age composition of their supporters. In the next 4 years, over 10 million Americans will die, most of them high-turnout older Americans who were far more likely to favor Hillary Clinton in the primary election and far more likely to favor Donald Trump in the general election. In the next 5 years, over 2.5 million British people will die, with the same story about who they are and what politics they generally support. 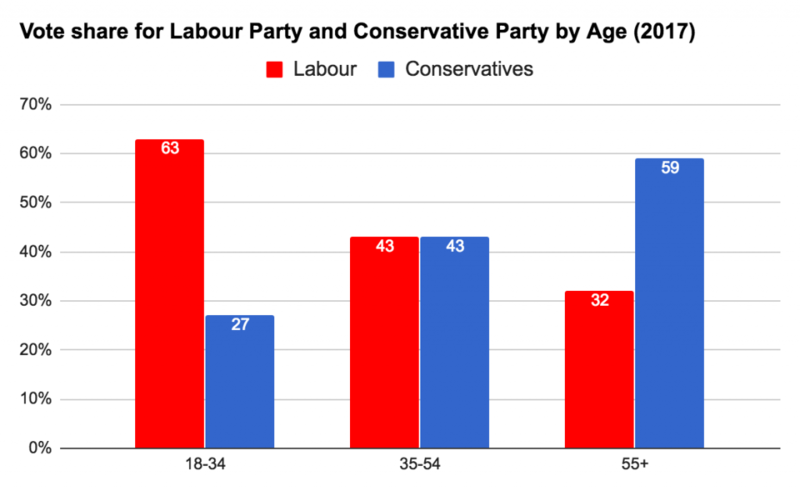 Younger cohorts in both the US and Britain will move up the age range into higher-turnout age belts, and, if the political science on this subject is to be believed, take their socialist-friendly politics with them. Barring a reactionary turn from current teens who will be young adults in the near future, this political shift should create a period of serious potential for the left to restructure the economy and society. Among younger political opportunists I am acquainted with in DC, this shift already seems to be factoring into their decision-making. To a person, these types of people were heavily aligned with Clinton in the last election because she was the expected winner and is known for harshly punishing disloyalty. Had she won the presidency, that is where the gravity of power would have remained and those looking to run or snag high-level jobs in the future were prepared to orient themselves around that reality. The loss has changed that calculation. Upstarts no longer see attaching themselves to the Clinton machine as their path to success because it is not. Young people are the future and if they can keep up their politics for just a little while longer they have a decent chance of actually getting the social democracy that they want. Also, last paragraph first sentence should be “loss”. Enjoyed this! Given that the narrative I seem to come across is the opposite of this, do you have any links I can read on young people holding onto their left wing views? The basic idea is that while political identity and ideology aren’t fixed, events that happen before or around young adulthood are much more impacting than those that happen later in life.